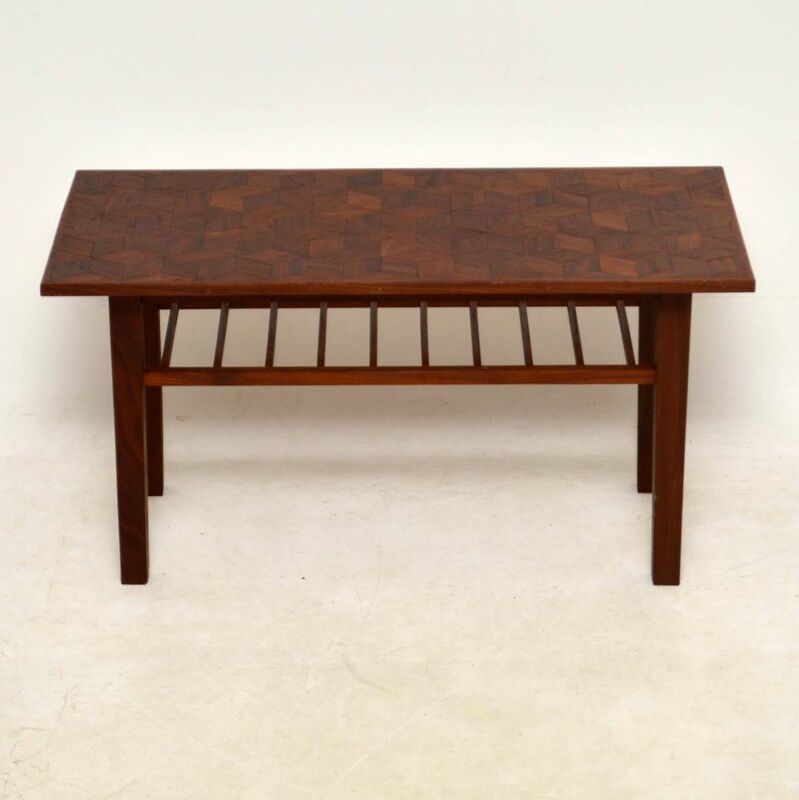 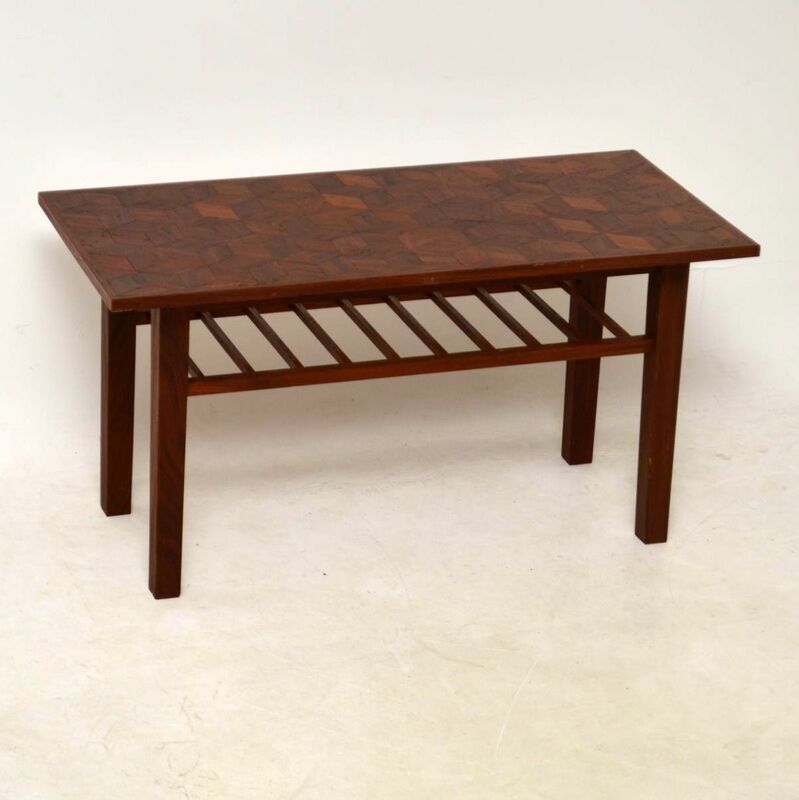 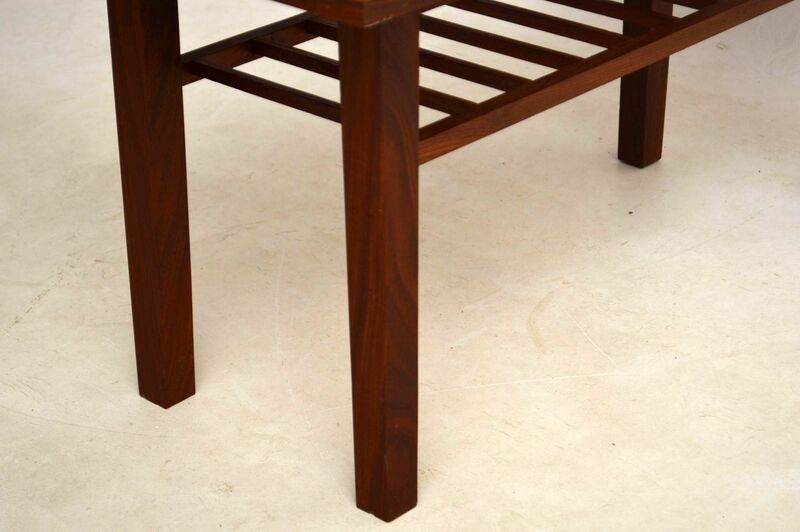 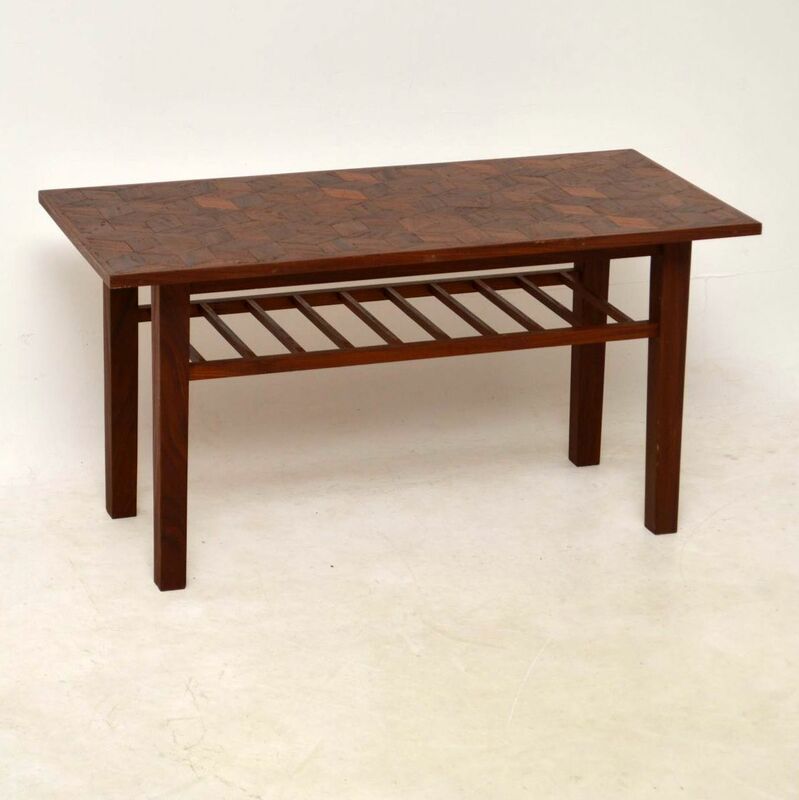 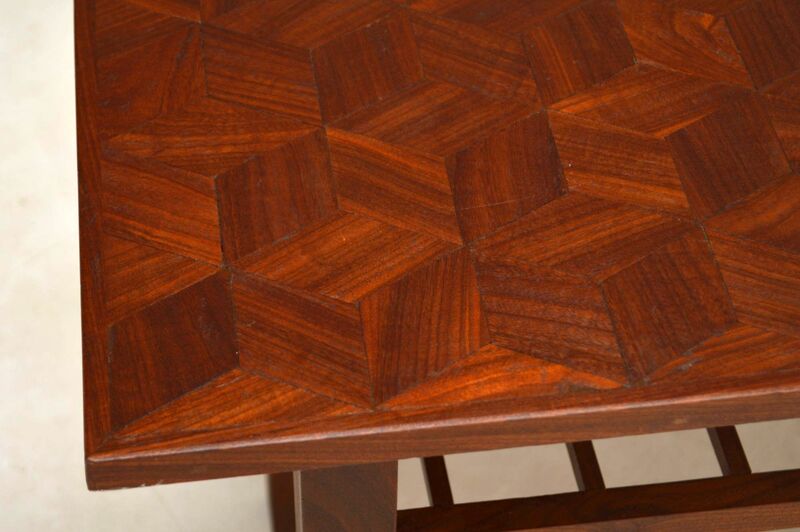 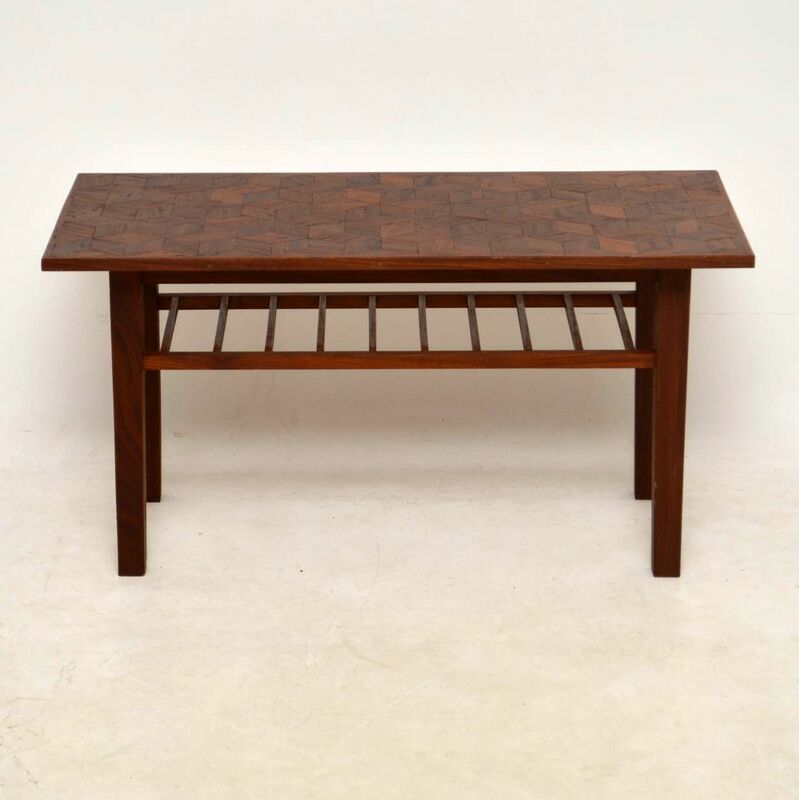 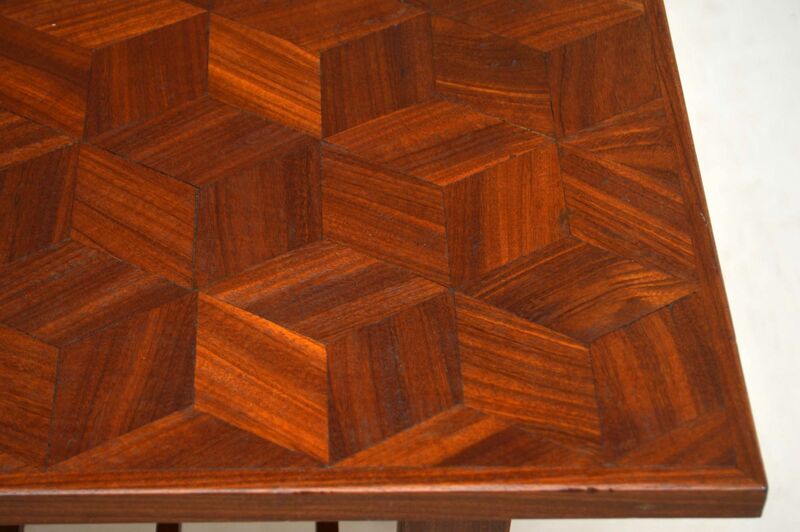 A lovely vintage coffee table in teak, this dates from the 1960's. 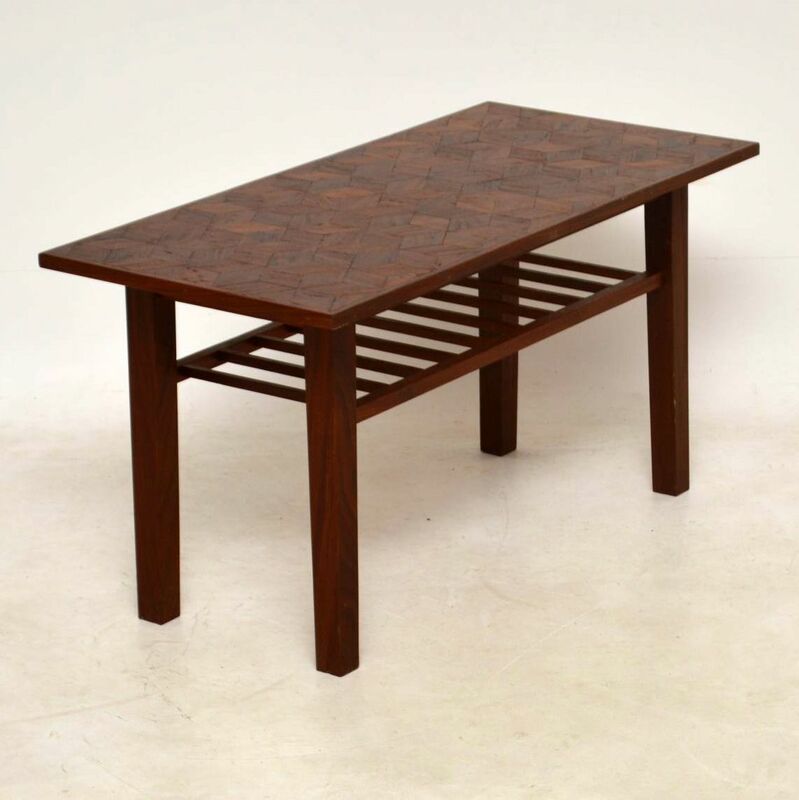 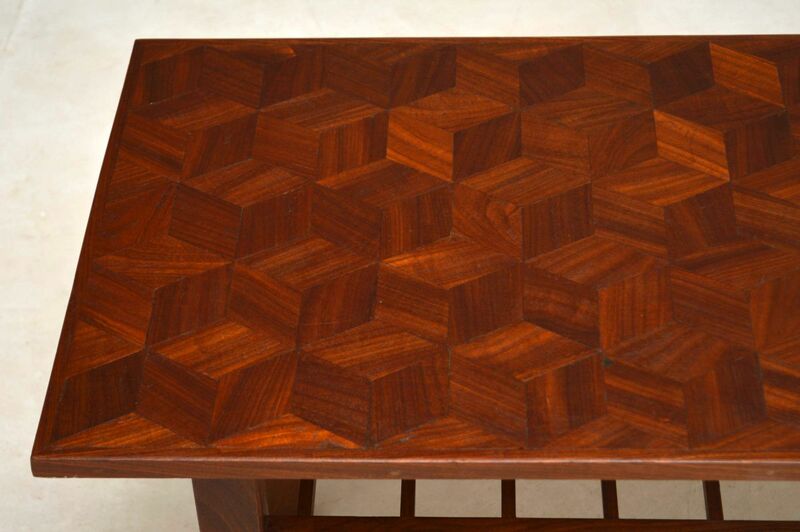 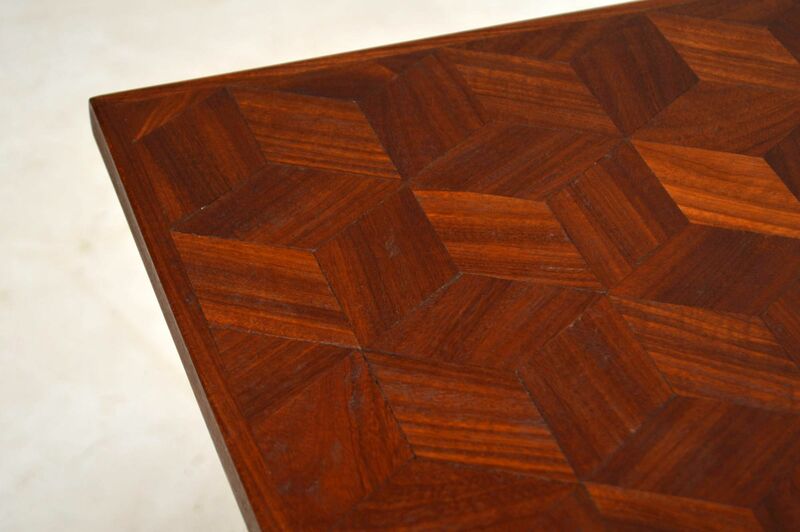 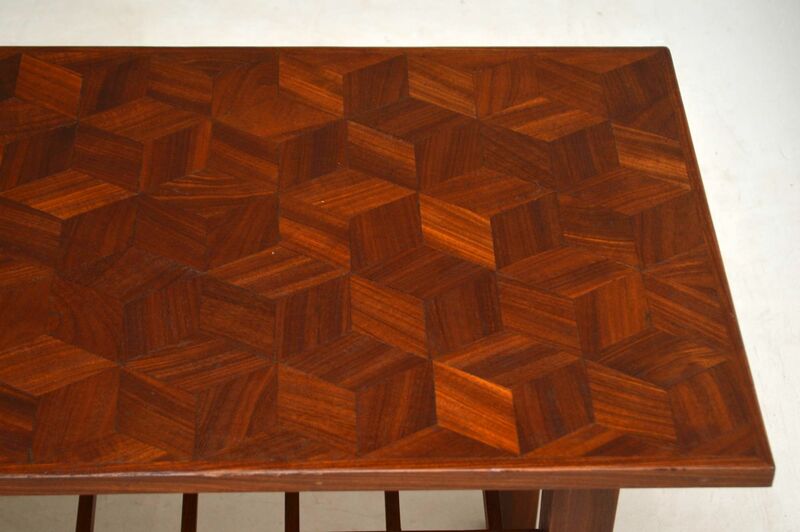 It is beautifully designed with a stunning inlaid parquetry top displaying geometric patterns, and it's a useful size and design, with a lower tier for extra storage. 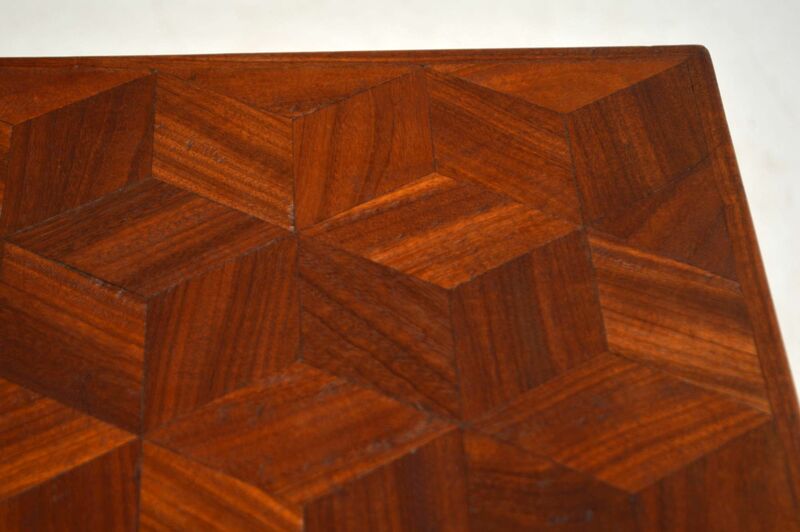 This dates from the 1960's and the condition is great for its age, there is just some extremely minor wear here and there.